Presenting products has never been easier. 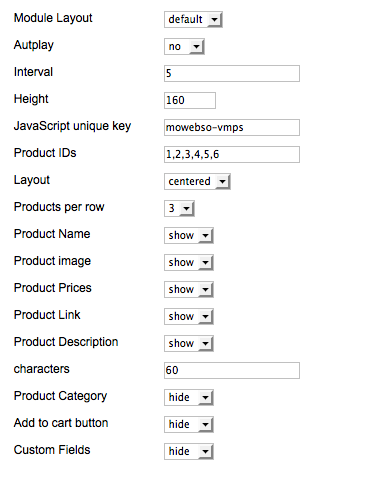 This VirtueMart 2 module allows you to present your products in a module. Display the products you want to highlight on purpose. This module also have a build in slideshow feature which you can activate. You determine the number of products to show per row. Moreover, you can hide or show each item (e.g. product name, image, buttons).